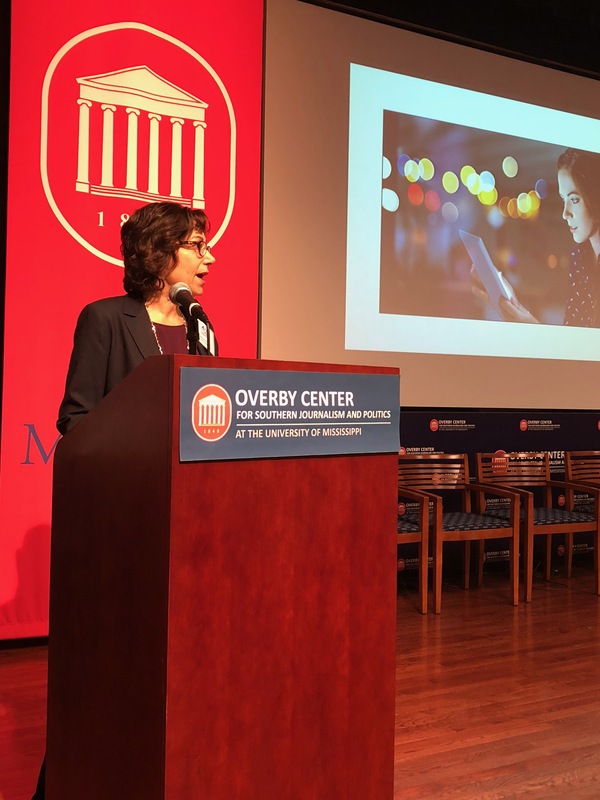 Bonnie Kintzer, President and CEO, Trusted Media Brands, speaking at the Magazine Innovation Center’s ACT 8 Experience, April 19, 2018. “Adapting and adopting,” a phrase that Bonnie Kintzer, president and CEO of Trusted Media Brands, believes in strongly for the success of a company. When Bonnie came back to Trusted Media brands four years ago, after having been gone for seven years, the company was burdened by debt and had just emerged from its second bankruptcy. The overall mood then was one of despair and dejectedness. Not a great model for success. Hence, the phrase “adapt and adopt” was born. But Bonnie was determined to see the company come back to growth again. As the Reader’s Digest Association, it had not weathered the times of change and disruption well, but the content of its brands was still trusted and strong. And today through adapting and adoption of innovation and the taking advantage of new platforms and products that drive today’s magazine consumer, Trusted Media Brands is strong and growing. According to the latest data from comScore, the Trusted Media Brands Digital Network now reaches 63 million consumers a month and is among the top 30 out of 2,000 digital lifestyle networks. The brand teams create around 2,000 pieces of high quality written and video content a month. In fact, Bonnie pointed out in her presentation, based on the most recent data from the MPA: The Association of Magazine Media, Taste of Home and Family Handyman brands are now the top two magazine media brands on Pinterest, outperforming such well-known brands as Allrecipes, House Beautiful, Cooking Light and Bon Appetit. Adapting and adopting, indeed. On day three of the ACT 8 Experience, Bonnie took the stage that morning of April 19 and talked about “putting the consumer first” and it was a mesmerizing conversation. Her wit, charm and engaging presentation was surmounted only by the truth and wisdom of her words. She opened the final morning of ACT 8 brilliantly. And to hear Bonnie Kintzer’s entire presentation, please click the link below. To watch the entire ACT 8 Experience presentations please go to http://www.mrmagazine.me and search for ACT 8 Experience. 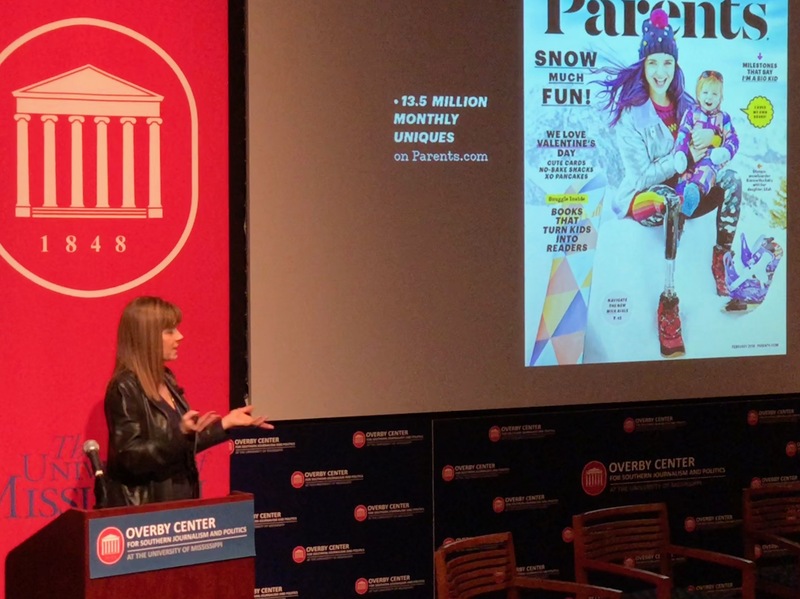 Liz Vaccariello, Editorial Director, Parents Magazine Network, Meredith, speaking at the Magazine Innovation Center’s ACT 8 Experience, April 18, 2018. If the phrase “energetic enthusiasm” was defined in the dictionary, you’d find Liz Vaccariello’s name written categorically beside it. The editor in chief of the Meredith Parents Network has an exuberance for her brand and the industry in general that is contagious. Liz was our opening keynote speaker for the first full day of the ACT 8 Experience on Wednesday morning, April 18. While the air in the room was expectant when she took the stage to give her presentation, by the time she accepted the resounding applause and descended the stairs to once again take her seat, it was electric. Several beautiful covers of Parents magazine began the story she told showing mothers and their real-life children together in varying poses, and progressing into the stories within the magazine’s pages that brings the lives of different people, such as celebrities, Jenny Mollen and Jason Biggs, along with their two sons, onto a level that we all understand, that of simply being parents. Liz’s belief is that Parents magazine, and ALL magazines, can have an emotional connection with readers, and that the cover is the best and most important place to start. But the meat of Liz’s talk was about her 11 New Rules for Making Magazines, which you will find below. And along with each one she presented, we were as engaged as new students on the first day of class, learning these rules as though they were the difference between an A and an F in the class, and for all intents and purposes, when it comes to a successful magazine, they are. And to see these rules presented as only Liz can click on the video below. To watch the entire ACT 8 Experience presentations please go to mr.magazine.me and search for ACT 8 Experience. Bold moves and the execution of bold things, two enterprising concepts that House Beautiful is bringing to its multiplatform brand. For 121 years, House Beautiful has been there for its audiences of the past and the present, always with an eye on the future. It’s a legacy brand that has stayed relevant through evolvement, innovation and a journalistic competence that instills trust and integrity with every word and picture published, be that in print or on its digital and social media platforms. Recently, House Beautiful announced “The Whole Home Project Concept House,” the magazine’s first-ever custom-built show house devoted to wellness and better living. “The Whole Home Project Concept House” will be brought to life in the Brookhaven neighborhood of Atlanta, Ga., breaking ground in October 2018. Built by Michael Ladisic, of Ladisic Fine Homes and designed by architect Linda D’Orazio MacArthur, of Linda MacArthur Architects, this new home will showcase better living through design—from a kitchen designed to make you healthier, to an entryway and garage organized to eliminate clutter and promote calmness, to every space around and in between. I spoke to Editor in Chief Sophie Donelson recently and we talked about this idea that a person’s physical and mental wellbeing can be impacted by the homes we live in. It is certainly food for thought and definitely an intriguing topic of conversation. And that is exactly what Sophie is passionate about, engaging in an intimate conversation with her audience. As a trusted authority on home design, with an audience of more than eight million (MPA June 2017), the brand and its master at the helm are excited about the future and ready to engage with its mass audience in a conversation about a more holistic view of home and hearth to reach the whole person, body, mind and spirit. 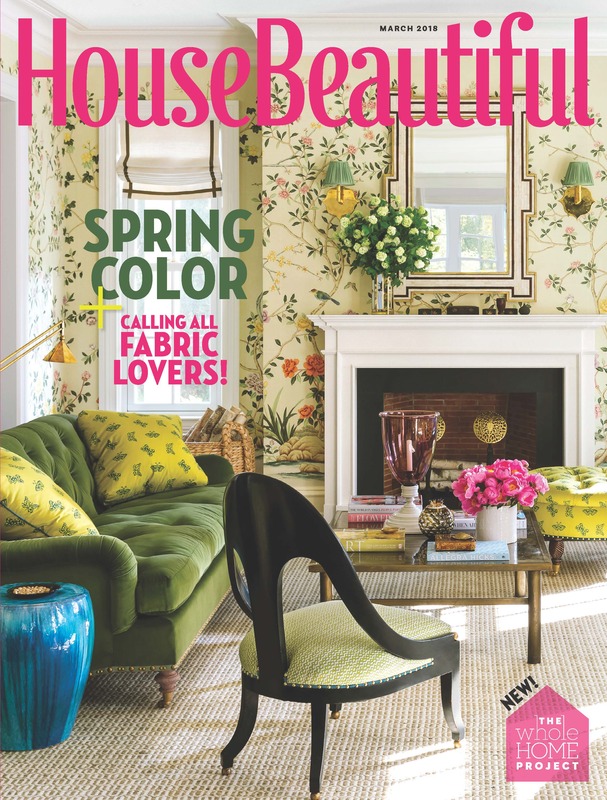 And now, please enjoy the Mr. Magazine™ interview with Sophie Donelson, editor in chief, House Beautiful magazine. On Marshall McLuhan’s belief that the medium is the message and whether now the “house” is the message for House Beautiful: (Laughs) I love a good Marshall McLuhan paraphrase. Yes, it’s certainly one of the mediums, absolutely. I’m thinking why not; why not build a house on top of doing the coverage that’s already quite ambitious? I thought that the project already felt like a big undertaking and then we’re in a meeting discussing it, and suddenly it’s happening. I’m so excited about it and it’s fun and interesting, and I think it’s a time for taking bold moves, doing bold things. On the brand’s core belief that “Happiness Begins at Home” and “The Whole Home Project Concept House”: For House Beautiful, the idea that happiness starts at home, home being yes, a physical place, but also obviously a mindset and something that looms very large for all of us. People who aren’t interested in decoration are still acutely interested in what’s happening at their home and what home means to them. And when things aren’t going well at home, things aren’t going well in life. And when things are happy at home, it’s a lot easier to build from there and to be a happy person and to go out and do great things in the world. So, the way we think about success and happiness has really shifted to be more inclusive of the whole person. And that’s where the name “The Whole Home Project” came about. It wasn’t about kicking off every single room, but actually about a home that could address the whole person. 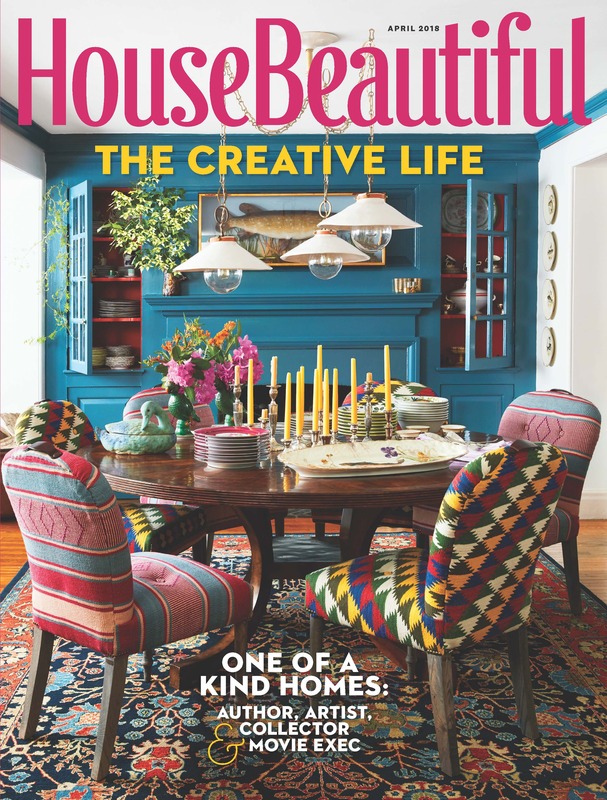 On how House Beautiful, a legacy title with 121 years under its belt, is manifesting itself to today’s many-platform audiences: What’s fun for me today is how much outreach we do with marketing and events. And then also, of course, digital and social media have surfaced these communities of people out in a way where they talk and meet more readily. And that to me seems just really exciting because it’s not just us talking to them, it’s them talking amongst each other, and bonding over a story or idea. I see that all of the time as I travel throughout this country. So, that’s one thing that I feel is very impactful. I feel our readers are more quickly able to find each other. 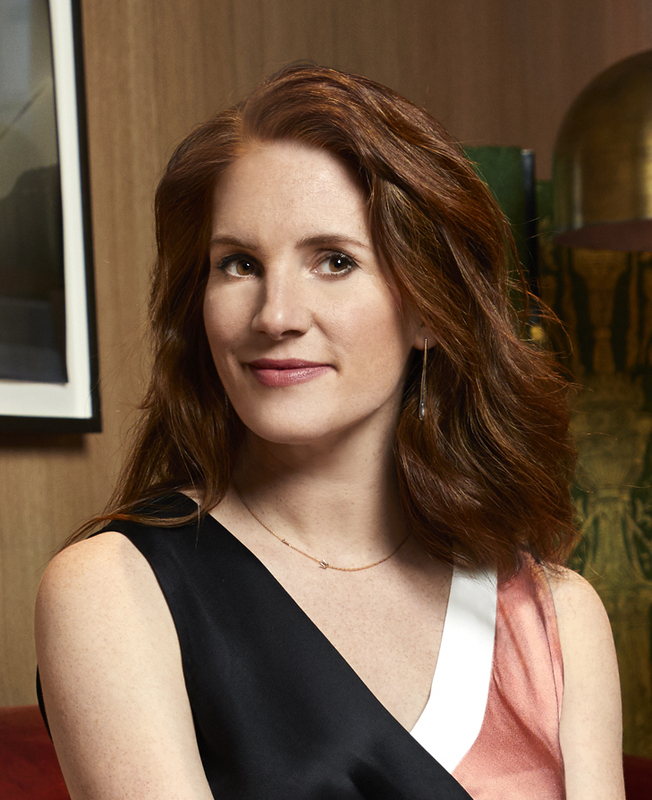 On how her role as editor of House Beautiful has changed over the last five years or so: What’s really fun for me is the ability to deliver it to the reader on multiple platforms; to be able to meet them in real life; to be able to talk to advertisers about what their needs are and they’re often the same needs as ours. We have very similar goals, so we think of advertisers as partners that can help you get what you want. We think of readers who are talking to us and telling us what they’re interested in and what they respond to. It’s just a little bit more holistic, but the fun part is there’s just more platforms, channels and levers to work with. It’s not just us and the printed page. Those are all, yes, busy-making, but they’re also just opportunities. On whether the job met her expectations: I knew some of the challenges, but I did not know how much fun it would be, I’ll be very honest. That was the big difference. I didn’t know how much passion everybody would bring to it and how so much of what I do during the day is just so interesting. That’s an amazing part of this job. It is absolutely a 24-hour per day job, in the way that you’re never not thinking about opportunities and what’s next, following what other people are doing and spending a lot of time listening. I love all of that. On whether she feels one can show rigorous journalistic trustworthiness better in print or that both print and digital can have unfailing integrity: All of the above. I think journalism takes many, many forms. You can write a journalistic caption to an Instagram, and I often do. My favorite people to follow on Instagram are some of these young architects and architecture enthusiasts who will snap a picture of a home in their neighborhood and then give you the quick postage stamp-sized story of the former owner or how it was built or some architectural detail, and I think that’s service, that’s incredible. And it’s also catching you where you were just wasting time or looking for trust and they serve you something substantial. And I think that’s unbelievable. It makes me so happy to surprise people with integrity. That is one of the great joys of my job. On the biggest stumbling block she’s had to face: I think learning to engage the team together, to create something bigger than just you and a couple of ideas, I constantly have to stop myself from overindulging with an idea myself. I would love to write a lot of the feature stories, and my managing editor will give me eyes and it’s like, no, you will not be writing that, you do not have time. Please don’t. Or I’ll find a book section that I just love and I’m being really picky about who gets the assignment, and I have to remind myself to step back and make sure that I’m leaving lots and lots of room for other people to bring their ideas forward. That mine are certainly not the best or most important. On how she would summarize a day in her life: I sometimes describe it to somebody as doing 700 small things, and together they do add up to important things, but a lot of my day is very quick-moving. There’s a lot of decisions and just being decisive and feeling good about it. And also just making connections, such as saying I don’t know the answer to something, but I trust “this” person to do that, deputizing. Keeping things moving. The worst thing I can do is delay. Delay is death in magazines. You cannot sit on something. On anything she’d like to add: I’d have to say that I am excited to be at a magazine that is able to talk to such a big readership about the importance of home. It’s not lost on me, the rare opportunity to talk about something so intimate with a mass audience. I think that we underestimate how big a role the physical space and the mental perception we have of our homes, what a role that plays in every single facet of our lives. On what someone would find her doing if they showed up unexpectedly one evening at her home: I wrote about it for the first time, and it wasn’t something I had thought about until literally last month, I cook, I put things together. I’m fairly competent in the kitchen. There’s something about the ritual of using my hands. I use my brain all day, but the chopping and the prepping and the washing, I used to think it was so tedious, but it is a zone that I get into. On what she would have tattooed upon her brain that would be there forever and no one could ever forget about her: The highest compliment that I ever get is that I have a nice spirit or energy to me. So, I think it would be something in that vein. I’d like to be somebody that you’re in a room with and you feel better after just being around. That would be a nice legacy to leave. On what keeps her up at night: Not too much, I’m a pretty good sleeper. But I like A-1 news stories, honestly, like under resourced, underprivileged people, the saddest stories. The New York Times refers to it as the neediest. I remember the neediest. And now the lightly edited transcript of the Mr. Magazine™ interview with Sophie Donelson, editor in chief, House Beautiful magazine. Samir Husni: To paraphrase Marshall McLuhan, who used to say the medium is the message, in your case, is the “house” now the message? Sophie Donelson: (Laughs) I love a good Marshall McLuhan paraphrase. Yes, it’s certainly one of the mediums, absolutely. I’m thinking why not; why not build a house on top of doing the coverage that’s already quite ambitious? I thought that the project already felt like a big undertaking and then we’re in a meeting discussing it, and suddenly it’s happening. I’m so excited about it and it’s fun and interesting, and I think it’s a time for taking bold moves, doing bold things. Samir Husni: In one of the quotes that I’ve read – “Happiness Begins at Home,” you define the word home as much more than just the home, it’s the home project, the concept house that you’re building in Atlanta. Tell me a little bit more about it. Sophie Donelson: For House Beautiful, the idea that happiness starts at home, home being yes, a physical place, but also obviously a mindset and something that looms very large for all of us. People who aren’t interested in decoration are still acutely interested in what’s happening at their home and what home means to them. And when things aren’t going well at home, things aren’t going well in life. And when things are happy at home, it’s a lot easier to build from there and to be a happy person and to go out and do great things in the world. I like talking about this for House Beautiful and in broader strokes because we have a population of readers who are just obsessed with their homes, they love decorating and they love shopping. But there’s a much larger body of people who are interested in the power that having a great home can kind of give them. So, I start from that mindset. And the color and the warm personality and the way that we take our pictures and write our stories, there’s an effervescence and joy in how House Beautiful covers home and an inclusiveness, I would say, that long precedes me and has been a part of this magazine for its 121-year history and right up through today. This is a magazine that you go to when you want to feel good about your home and to feel good about yourself. And when I started to think about the parallels between the national conversation about, not just happiness, which was about 10 years ago when the “Happiness Project” came out by Gretchen Rubin, and a number of other authors were addressing happiness as a topic, I suppose, much in the way House Beautiful addressed color for the first time as an actual topic and not just as something happening out there, something loose and tangential. This national conversation in the last couple of years has really shifted toward health, mental wellbeing, positivity, not just happiness and not just being physically fit, but being mentally sound and feeling good. We all started to really acutely understand that it’s all connected. It’s not just a positive mood or a good day, but potentially the way we eat and the way we fuel our bodies has an impact on our minds. How we sleep at night; I mean, how many conversations involve “sleeping your way to the top,” what do all the amazing executives and creatives have in common: they take time to sleep and to have downtime. So, the way we think about success and happiness has really shifted to be more inclusive of the whole person. 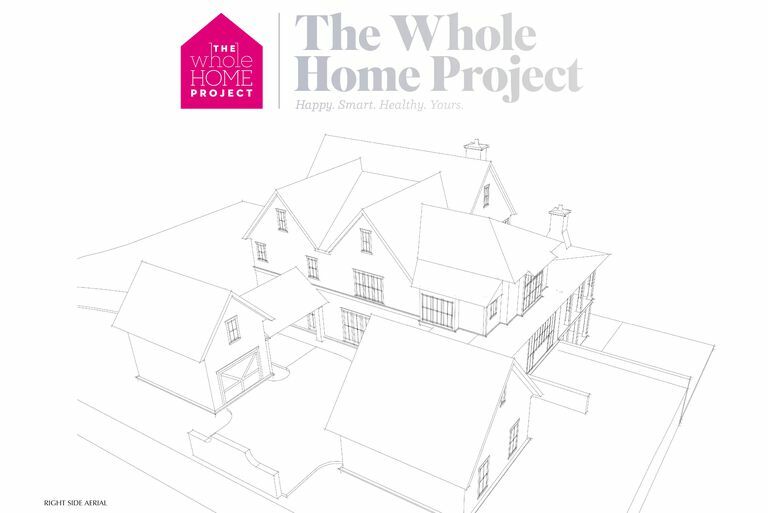 And that’s where the name “The Whole Home Project” came about. It wasn’t about kicking off every single room, but actually about a home that could address the whole person. Again, not just that a color might make you happy, but eventually your kitchen could be designed in a way that could help you be healthy. That your organization goals and executing them could make you feel calm and put together and capable. All of this made us feel that there were opportunities at home that our design decisions could radically impact our wellness and happiness. And that’s how it came about. So people like my mother-in-law now would know words like Breathwork, and I’m asking, when did that happen? That mediation is not woo and it’s sort of an amazing time, there’s almost a national reckoning and welcoming of whatever someone needs to make them feel good. And I love that and there’s like an analogous part of it, and every single room of the house has the opportunity to seize on this idea. Samir Husni: As an editor of a legacy title, how do you feel that the DNA of the magazine has evolved from pure ink on paper to manifest itself in Concept House, digital, and its many other platforms? How do you feel the DNA of House Beautiful today is manifesting itself to the multitude of audiences out there? Sophie Donelson: I have January through June 1927 on my desk right now, because we’re working on the Small Spaces issue, and I’m being very careful since it’s a bound book. I was trying to find the first time that we talked about small spaces, and it’s in the June issue. It reads: it’s furnishing the small room, schemes for the living room in House Beautiful, home #16. Of course, House Beautiful, like many shelter titles had house plans and architect plans and elevations and that kind of thing. And there were five small-roomed schemes, which of course, I’m doing a version of today. So, we see this legacy every single day and it’s so much fun. But the first thing that comes to mind is community. And what’s really fascinating to me is that magazine readers and subscribers still have very strong opinions of who they identify with, such as “I’m a House Beautiful person,” or “I’m more of a this or more of a that person.” We have brands that we identify with and that has sort of always happened. But what’s fun for me today is how much outreach we do with marketing and events. And then also, of course, digital and social media have surfaced these communities of people out in a way where they talk and meet more readily. And that to me seems just really exciting because it’s not just us talking to them, it’s them talking amongst each other, and bonding over a story or idea. I see that all of the time as I travel throughout this country. So, that’s one thing that I feel is very impactful. I feel our readers are more quickly able to find each other. Samir Husni: Years ago, editors used to just have a print magazine, a deadline, and just had to meet that deadline, but today even the definition of editor has changed. 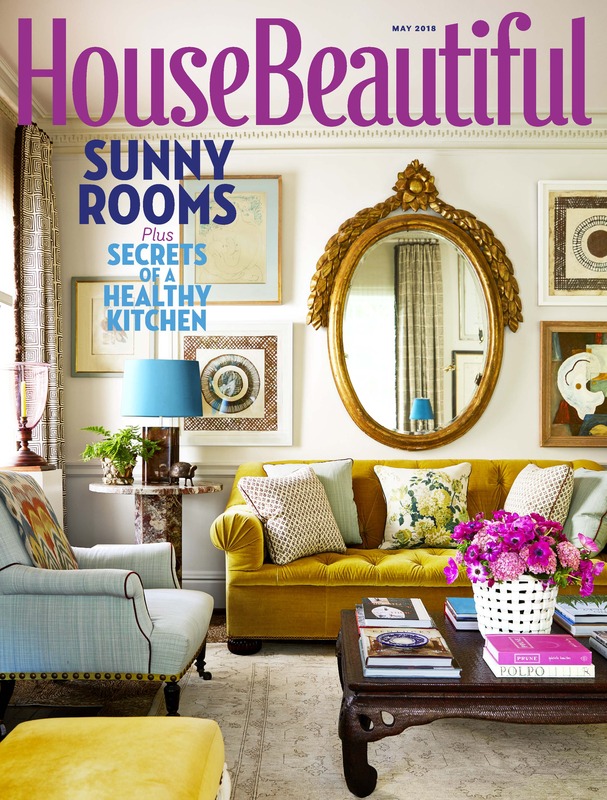 How has your role as editor of House Beautiful changed over the last five years or so? Sophie Donelson: Oh my gosh, does wearing pink more often than I’d like to count? (Laughs) I really was representing the magazine at something recently and I picked out an outfit and I thought, no, that’s not who they want today. They want the joyful, happy, warm House Beautiful editor, so I changed my outfit. I take the journalism aspect and the editing aspect of my job very seriously. Those are things that drew me to this industry and what I still take so much pleasure in doing. What we think of as an editor, whether it’s a pink pen and not a red one, doing edits, and thinking of concepts within the vision of the magazine. But what’s really fun for me is the ability to deliver it to the reader on multiple platforms; to be able to meet them in real life; to be able to talk to advertisers about what their needs are and they’re often the same needs as ours. We have very similar goals, so we think of advertisers as partners that can help you get what you want. We think of readers who are talking to us and telling us what they’re interested in and what they respond to. It’s just a little bit more holistic, but the fun part is there’s just more platforms, channels and levers to work with. It’s not just us and the printed page. Those are all, yes, busy-making, but they’re also just opportunities. Eliot Kaplan and Newell Turner, Newell primarily, but of course Eliot, the longtime Hearst recruiter, who recently retired, these are the guys who got me to Hearst. I remember taking meetings when I briefly left publishing for a couple of years to work in e-commerce, digital and marketing, and they would ask me what would I do at Hearst and I told them that I wanted a job where I could do special projects and work in marketing. I wanted to be a part of the print magazine, but also wanted to know what was happening online. I wanted to know about the revenue streams; I wanted to touch all of these different parts because so many of them interested me. And at the time, I think I thought I was kidding with them, that job didn’t exist. But ‘lo and behold it does exist. (Laughs) And it’s editor in chief, and it’s so cool. It’s so much more of an interesting job to me than I think a narrower land would have been maybe 20 or 30 years ago. Samir Husni: Did the job meet your expectations? Sophie Donelson: I knew some of the challenges, but I did not know how much fun it would be, I’ll be very honest. That was the big difference. I didn’t know how much passion everybody would bring to it and how so much of what I do during the day is just so interesting. That’s an amazing part of this job. It is absolutely a 24-hour per day job, in the way that you’re never not thinking about opportunities and what’s next, following what other people are doing and spending a lot of time listening. I love all of that. And of course, how can you not take it home with you, it’s a home magazine. Samir Husni: You mentioned that you’re still a believer in the journalism, editing and trustworthiness of the job, do you feel that you can show those aspects more in print or can you show the same rigorous journalism criteria in the digital platform? Sophie Donelson: All of the above. I think journalism takes many, many forms. You can write a journalistic caption to an Instagram, and I often do. My favorite people to follow on Instagram are some of these young architects and architecture enthusiasts who will snap a picture of a home in their neighborhood and then give you the quick postage stamp-sized story of the former owner or how it was built or some architectural detail, and I think that’s service, that’s incredible. And it’s also catching you where you were just wasting time or looking for trust and they serve you something substantial. And I think that’s unbelievable. It makes me so happy to surprise people with integrity. That is one of the great joys of my job. Many people love this magazine, they love the way it looks, they like pretty things, and then to surprise them with something where it actually makes them feel an emotion, from a personal essay standpoint or just a really human connection like there’s something great there. Or again, a little bit of mystery or insight into how something works together. There are so many options and places to make that happen. I do think that the way readers, back to Marshall McLuhan, the way that they engage with the magazine versus digital or social platforms, for example, it is a little bit different. We still have a halo or a level of importance, in a way, with the fact that something has been printed. We had to go through all of these steps, we had to make it in the flesh. There is something that still resonates with readers about print. That’s why you see, for example, in higher-ticket items, there is more of a trustworthiness that readers report when they read about something in print versus digitally. There’s a little bit of integrity, importance and trustworthiness that the medium itself delivers. It’s our job, obviously, as editors and journalists to make sure that is the case. And as I see the generation kind of grow and shift, that sentiment may evolve, I would expect it to evolve, I would hope it would evolve. But for right now, I do think that people take rather seriously what are in the pages of a magazine, for sure. Samir Husni: You seemed surprised when I asked you did the job meet your expectations, and you talked about the fun and the passion. What has been the biggest stumbling block and how did you overcome it? Or have there been any stumbling blocks or has it been a nice walk in a rose garden? Sophie Donelson: The idea that I have expectations of this job is laughable, this job has expectations of me. The part that I always want to grow, as we say in career coaching, development opportunities, not challenges, just opportunities, such as inspiring my team, working together as unique, individual, creative people. The job is the people. They’re the best part; they’re what makes the days so fun. When I talk to my five-year-old and he asks me about someone and I say, oh, it’s my friend at work. They are absolutely a colleague, they may report to me, but I naturally refer to them all of the time as a friend, especially when talking to a five-year-old, it’s the shortest way of saying this is a person who I talk with and laugh with every single day. So, that’s a friend, right? But I think learning to engage the team together, to create something bigger than just you and a couple of ideas, I constantly have to stop myself from overindulging with an idea myself. I would love to write a lot of the feature stories, and my managing editor will give me eyes and it’s like, no, you will not be writing that, you do not have time. Please don’t. Or I’ll find a book section that I just love and I’m being really picky about who gets the assignment, and I have to remind myself to step back and make sure that I’m leaving lots and lots of room for other people to bring their ideas forward. That mine are certainly not the best or most important. Samir Husni: If you were to summarize a day in the life of Sophie, how would you put it together? Do you go with the flow or are you an organized person? Sophie Donelson: I sometimes describe it to somebody as doing 700 small things, and together they do add up to important things, but a lot of my day is very quick-moving. There’s a lot of decisions and just being decisive and feeling good about it. And also just making connections, such as saying I don’t know the answer to something, but I trust “this” person to do that, deputizing. Keeping things moving. The worst thing I can do is delay. Delay is death in magazines. You cannot sit on something. It’s just a lot of small tasks and actions, and this is why editors put so much effort into their editor’s letter. It’s probably the most concentrated energy that any of us put into anything all week, which is just funny to me because we’re all writers. We all know how to do this, it’s a muscle that we use often. But that in terms of like concentrated time is a real rarity, to think about something over a month, which I do, and then to just sit for a couple of hours and actually write something and not just a headline. Sophie Donelson: I’d have to say that I am excited to be at a magazine that is able to talk to such a big readership about the importance of home. It’s not lost on me, the rare opportunity to talk about something so intimate with a mass audience. I think that we underestimate how big a role the physical space and the mental perception we have of our homes, what a role that plays in every single facet of our lives. In a really turbulent news cycle and with a technology default, where we might find ourselves busier or crankier or prone to ups and downs about how many Instagram likes something gets or some sour commenter, there is a panacea for all of this. Sometimes it’s just cheap, fresh flowers or a nice scent in your home, like cooking cinnamon buns or something, or tucking in early for the night, preferably with print so you’re not having that screen in your face. I think these are really important times to talk about self-care through home and this is a really great magazine to go to. It’s a magazine that people naturally trust and don’t feel intimidated by, so we’re able to have richer conversations because people aren’t expecting to look at something and say, I want that, but I’ll never have it. This is a really uplifting magazine, where people can say, I want that and I think I might just go for it. It’s a privilege to sit here during this moment, in which I think we could all use to go home early. Samir Husni: Since you’re going home early, if I showed up unexpectedly at your home one evening after work, what would I find you doing? Having a glass of wine; reading a magazine; cooking; watching TV; or something else? Sophie Donelson: (Laughs) I wrote about it for the first time, and it wasn’t something I had thought about until literally last month, I cook, I put things together. I’m fairly competent in the kitchen. There’s something about the ritual of using my hands. I use my brain all day, but the chopping and the prepping and the washing, I used to think it was so tedious, but it is a zone that I get into. And I cook for my family. I would absolutely eat a boiled egg or peanut butter on a rice cake standing up in the kitchen, if left to my own devices, while probably having a glass of wine. But if my husband is home, I’ll make a nice healthy dinner. I’ll describe it as feeding my body; I’m usually listening to a podcast and feeding my mind. I’m working with my hands, and so it’s very immersive. That, to me, gives me peace. Aldo, if my hands are busy in the kitchen, I don’t have to take care of the children, that becomes his job, so it’s a little bit of an escape as well. And that’s what you’ll find me doing on the weeknights when I’m not traveling or out for industry stuff, which I try to keep evenly split, half and half. Sophie Donelson: The highest compliment that I ever get is that I have a nice spirit or energy to me. So, I think it would be something in that vein. I’d like to be somebody that you’re in a room with and you feel better after just being around. That would be a nice legacy to leave. Sophie Donelson: Not too much, I’m a pretty good sleeper. But I like A-1 news stories, honestly, like under resourced, underprivileged people, the saddest stories. The New York Times refers to it as the neediest. I remember the neediest. This is the last installment from the Magazine Innovation Center’s ACT 8 Experience:Print Proud Digital Smart. Today is ACT 8 Day 3. April 19, 2018. Until next year, stay tuned to information and dates of the Magazine Innovation Center’s ACT 9 Experience in 2019. To check the entire agenda for ACT 8 Experience click here. ACT 8 Experience: Print Proud Digital Smart. Day 2 Recap. As I mentioned yesterday I will be posting the videos from the Magazine Innovation Center’s ACT 8 Experience:Print Proud Digital Smart. Today is ACT 8 Day 2. April 18, 2018. Panelists:Joseph Ballarini, Founder and Editor in Chief, Tail Fly Fishing Magazine, Tony Frost, Senior Vice President, TVGM LLC, TV Guide, and Mark Potts, Managing Editor, Alta The Journal of Alta California. Panelists:Dave Forsman, EVP of Sales, TNG, Jerry Lynch, President, Magazine and Books, Retail Association, William Michalopoulos, Vice President, Retail, Sales & Marketing,PubWorX,Sebastian Raatz, Publisher/Co-Founder, Centennial Media, and Ray Shaw, Executive Vice President/Managing Director, MagNet. End of Day 2. To check the entire agenda of the ACT 8 Experience click here. Starting today I will be posting the videos from the ACT 8 Experience:Print Proud Digital Smart. Today is ACT 8 Day 1. April 17, 2018. Tom Quinlan, Chairman and CEO, LSC Communications, Inc.
You are currently browsing the Mr. Magazine blog archives for April, 2018.